What book would you gift? As the holiday break approaches, what book would you recommend? What book would you gift? 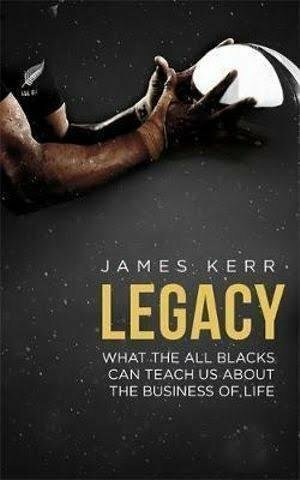 Legacy by James Kerr is my go-to recommendation for a book to read. I have gifted hundreds of copies since it was published a few years ago. I still have my dog-eared original copy, with post-it notes hanging from almost every page. Real insights from the fully lived, high performance world of the All Blacks. It remains my book of choice. From time to time to time we will email you with some leadership insights, as well as links to cool stuff that we've come across. We will treat your information with respect and not take this privilege for granted. But leadership is not a DO thing, it is a BE thing. The moment you are accountable to, responsible for, and ultimately dependent on, the performance of people other than yourself, it stops being a DO thing. Think back to a time. A time when someone did something special for you that changed your life. Now, write them a letter. By definition, this conversation isn’t about a high-performance culture, it is about our high-performance culture, and this is where it gets complicated. © 2019 - DESIGN BY CAMERON SCHWAB - LAMBEAU PTY LTD (trading as designCEO) - ALL RIGHTS RESERVED.